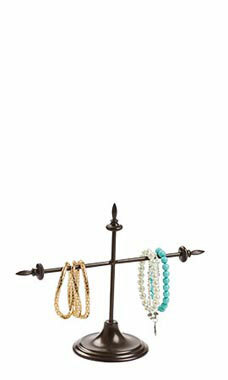 Small 1 Tier Antique Bronze Jewelry Display's are a great way to display your necklaces and bracelets. Use these Antique Bronze displays to show off those new jewels and chains. Great for countertop display.